I recently sent this email out to some of our supporters. We now have sufficient funds pledged to meet this need, but I thought that it would still make a good blog post. We have people all around us with stories and situations just like this. Anyone who wants to donate towards this kind of thing should see our Donate page. 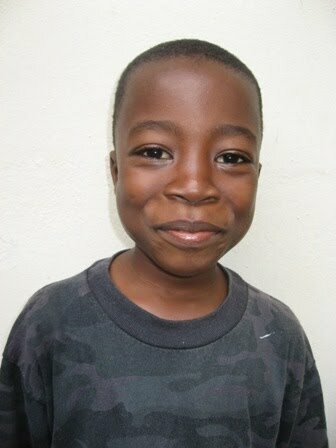 Part of the way that our family survives here in Liberia is with the help of Musu. We can't imagine life without her - she has become like a Grandma to the children and a friend and helper to me. Without Musu I would be unable to do all that I do in assisting the Liberian people and homeschooling Kaitlyn and Kaleb. I realize I haven't really had a chance to "introduce" you to this "family" member and hope that you'll allow me the time to introduce you to this amazing woman. Most of what I will share is what Musu has told me . . . but other aspects have been shared by her family members as Musu is much to humble. Musu has been a widow for over 10 years. Her husband died from dysentery shortly after the war in Liberia started. When he died, his family abandoned them and would no longer allow them to live in the family home. Once the fighting reached their area she knew she had to flee with her 7 children - the youngest was under 2 years old. They walked with their few belongings for 1 week until they reached Gbarnga. During that time she took in children who had lost their parents along the way and by the time she reached Gbarnga she had 20 children who were dependent on her. Although she never knew how she'd feed them their next meal . . . somehow they all survived. She has told me of how she would go into the forest to look for special greens that were edible and then she'd cook them for the children. Sometimes rebel troops would see the smoke and before she could feed her children they would take all of her food. On one occasion she watched and prayed as a soldier put a gun to her son's head and then amazingly the man stopped and turned away. Eventually, she managed to get enough money together to transport her family to the Ivory Coast where they waited for the war to end. When they returned to Liberia they had nothing - everything was gone. 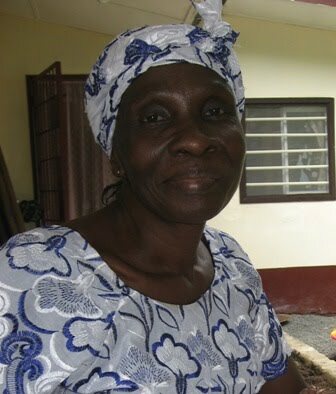 Musu would go into the forest and cut down wood, then go sell it and would buy food with the money to feed her children. Many times she would go without eating so that the children would have more. When she was reunited with her father's family she asked if they would help her with the many children that she now had living with her. They told her that those children weren't her responsibility and she should just abandon them. She refused and continued working hard in order to allow all of her "children" a chance to survive. Whenever Musu speaks of this time it is not with bitterness but thanksgiving to God for helping her survive difficult times! Musu is a giver and gives of her resources until she has nothing left for herself. Even when I give her money for food she takes out some of the money and divides it among her neighbors so that they too can have some food to eat. Musu has worked for us for over a year now and is amazingly patient, gentle and kind with the children. They all adore her and we can't and don't want to imagine life without her. We do what we can to support her and her family - but don't have the resources to help with everything. Musu now has 15 grandchildren and 10 of those children are living with her. The mothers are single and uneducated due to the war. Last year we assisted several children with their school fees but this year we don't know what to do. 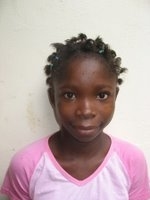 Of the 10 children living with her, 7 are school aged and would like to attend school. I know that this will not happen unless we provide the funds for these children. As Kreig and I have deliberated over this situation we have felt strongly that we can't sit back and watch these precious children go uneducated for lack of funds. So . . . I'd like to ask you if you can pray and ask God if this is something that you would like to support. I have attached pictures of each of the children that are hoping to attend school. In faith, we have filled out all of their paperwork, had their medical exams done and they have all taken their entrance exams. School starts on September 1st but the school has given us until the end of the month to find funding. We are now praying that God will provide sponsors for these children - within the next three weeks. In no way do we want you to feel forced or guilted into this . . . but if this is something that God lays on your heart then please let us know. And if there are others that you know of that would like to sponsor a child in school please forward on this email. Kreig and I are so thankful for the opportunities God has provided for us and our children to receive an education and we pray that in someway He will make a way for these children to experience the gift of learning! Musu has agonized over this and has not asked us to support all of the children - she has sold land to help pay for her oldest son's education and now she just trusts God to provide for them. 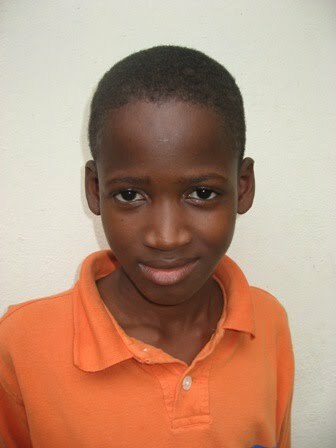 Musu has never learned to read and knows how difficult life can be without this vital skill. She prays that God will allow her children this incredible gift. Thank you in advance for your prayerful consideration of this matter. As we have learned daily . . . you can't say "yes" to all of the needs that come to your door . . . but you can pray and ask God for guidance. Many times for me that is praying with the person that God will meet their needs in some other way! We appreciate your prayers with us as we wait for God, the Father to the fatherless, to provide for these children. The annual school fees for each child will be about $300 including tuition, uniforms and activities. That is a grand total of $2100 that needs to be raised in order to send each child to school. Kumasa (11), Garnet (13) and Reuben (8) all share the same mother, but Reuben has a different father. Six years ago their mother, Musu's oldest daughter, died in childbirth. When this happened all three children came to live with Musu. After a year, Kumasa and Garnets' father decided he didn't want them living with Musu so he came and took them away. Sadly, he was only wanting to make money off of his children. 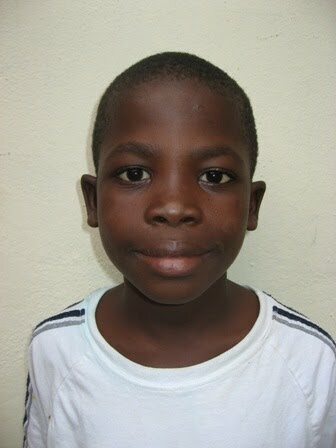 Kumasa was used as payment for a $2.00 piece of fabric that her father had stolen. Musu discovered this a year later when she saw her walking with a stranger. When she questioned the lady she explained the situation and so Musu paid the debt of $2.00 and took Kumasa home to live with her once again. Sadly she has never had the opportunity of attending school and will enter Kindergarten this year. Garnet was "sold" to a shoe cobbler as "slave labor" and after being poorly treated he ran away and lived on the streets in Downtown Monrovia for over a year. Musu just found him a few months ago - he was homeless, dirty, hungry and uneducated. She took him home, cleaned him up and has been showering him with love. Sadly, he has never had the opportunity to attend school and will be entering Kindergarten this year. 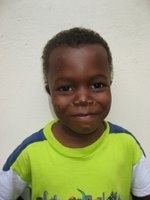 Reuben was only 2 years old when his mother died and he has lived with Musu ever since. He has had the opportunity of going to school and will now be going into first grade. 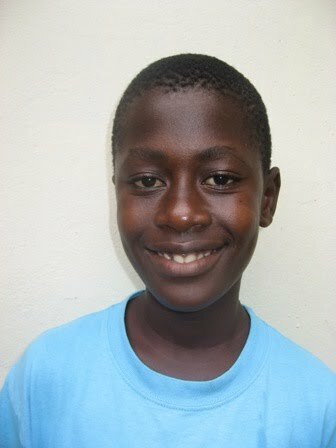 Chris (11) - He has lived with Musu since he was 6 months old. Her son and his girlfriend were unable to care for the baby while they were still trying to go to school. 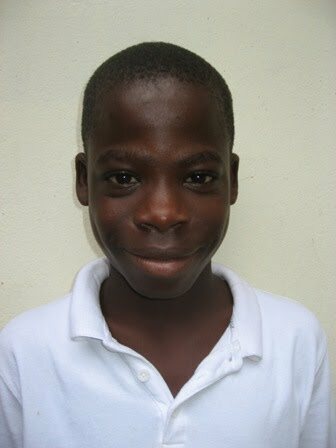 Fortunately, Chris has been able to attend school and will now be entering into the fourth grade. Tennyson (12) is Musu's nephew. When Musu's brother died, 2 years ago, his mother brought him into town to live with Musu. She hoped that this would offer him the opportunity of getting an education. He completed Kindergarten last year and hopes to go into first grade this year. Blessing (10) and Samuel (9) are brothers and have lived with Musu for one year. Their father is engaged to Musu's daughter, Kelly. Both boys have been out of school for the last two years due to lack of finances and sickness. Just this year we found out that both boys have Sickle Cell Anemia Disease. Both boys hope that they can attend school this next year - we are waiting on their test results to see what grades they will enter. Although Musu has had 12 biological children, only 5 of them remain alive today! But as you have read . . . she has been a mother to many. And as any mother loves her children and wants the best for them . . . that is her prayer for these children.